Owner and founder of Buffalo CycleBoats, Brandon Bova, got a chance to chat boats with WIVB 4 Kaylee Wendt about the upcoming pedal boat launch on the Buffalo Waterfront. Read the full article by clicking here. Waterfront will be bustling soon. Summer isn't all that far away. News 4 Kaylee Wendt shows us something new that will debut on the downtown waterways this year. Anywhere you go along the Buffalo waterfront in the summer, you'll find hundreds of people. Shops, restaurants, and plenty of entertainment to keep the most busy of bodies occupied. This summer there'll be another thing to add to your to-do list. 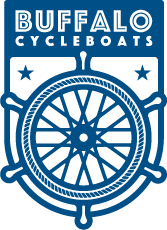 A Cycleboat. The boat will be the first of its kind in Buffalo, but the idea is not new. Nine other cities around the United States have already incorporated the cycle into their waterways. “I actually came across the boat while I was out in Seattle. I saw the boat cruising along Lake Union and people are having the time of their lives, so I decided why not investigate and try to get this boat to Buffalo” said Bova. It's taken about a year and a half to get approval, but owner Brandon Bova hopes that it will be ready for the upcoming season which starts May 21st 2017. Operating season's going to be from Memorial Day to Labor Day as weather permits. We could be going a little bit earlier or a little bit later into the October season. Rain or shine, the boat will be able to show you things you may have never seen before from land. “I think this is a great opportunity for guests of our city that may not have a boat to get out on the water, see Buffalo from a different point of view” said Bova. The scheduled route will take about two hours and can be tailored to any party's need, whether you're out celebrating or you want more history of the Queen City. “You're going to be able to get a little bit of knowledge of the Buffalo waterfront and the history of the waterfront along the rivers as well” said Bova. This included trivia on the boat. 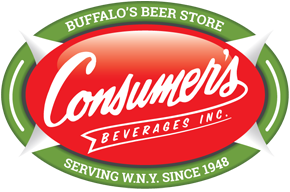 If you're interested in learning more about the newest Buffalo trend, you can find more information on the Found it on 4 section of our website. In Buffalo, Kaylee Wendt, News 4.